We are very close to your dreams. A step away from the crystal clear waters and white sands of Cala Blanca in Ciutadella de Menorca, in an environment consisting of green pines and integrated in a quiet residential area, with tourism services for the whole family. It is a cozy apartment complex crown Cala'n Bosch. Enjoy spectacular views of the sea and the beautiful sunsets the western tip of Menorca. Grupotel Aldea Cala'n Bosch is ideal for a quiet family holiday. The Sol Gavilanes is just 5 minutes walk from the centre of Cala Galdana, where there is a selection of shops, bars and cafes. 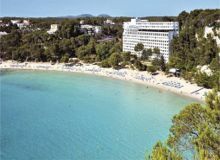 The resort is surrounded by pine forests, and the pretty coves at La Serpentona and Sant Francesc are less than 5 km away. With peaceful chill out areas, a lovely relaxing pool, plus modern decor throughout, it’s easy to see why this hotel is so popular. 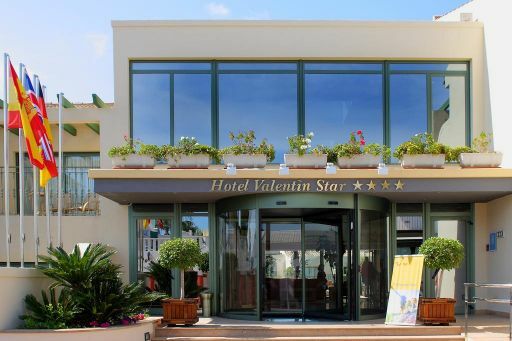 This hotel is perfect for couples looking for laid back days on the beach, and nights exploring the buzzing marina. This family friendly property is perfect for those seeking a fun and relaxing break in Menorca. 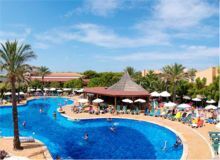 With spacious apartments, and excellent facilities and activities to suit the whole family, this hotel is one of the best family resorts on the island. 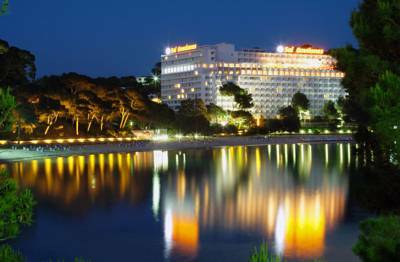 The Hotel Meliá Gavilanes, Cala Galdana is located on the south coast of Menorca next to the sandy beach of Cala Galdana Beach. The disabled accessible hotel features tranquil, modern rooms with spectacular views of the beautiful bay of Santa Galdana. 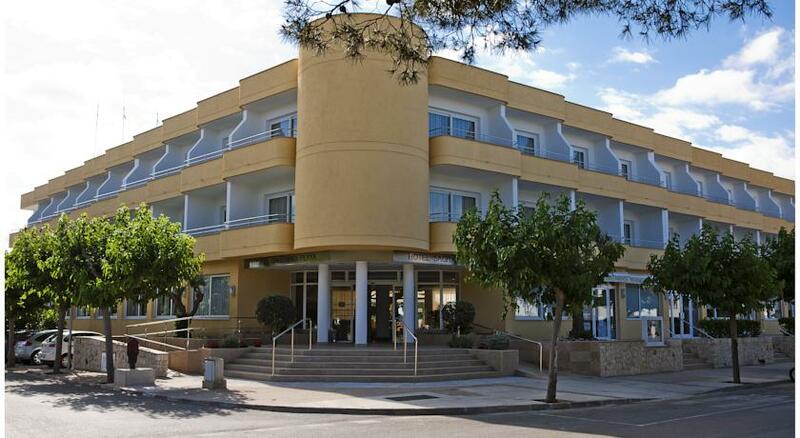 Set in a lush green landscape, this upscale apartment hotel is a 4-minute walk from Surf n' Sail Menorca, 2.6 km from Cap d’Artrutx Lighthouse and 12 km from Minorca Cathedral. The contemporary apartments offer 2 flat-screen TVs, living rooms with sofas, and desks.